Pop music moves at social media speed, these days. But once you’re in the pantheon, once your place in the pop cultural cosmos is cemented and singular, those trends don’t matter to you. Californian quintet Smash Mouth is one such act with that sort of bulletproof reputation. 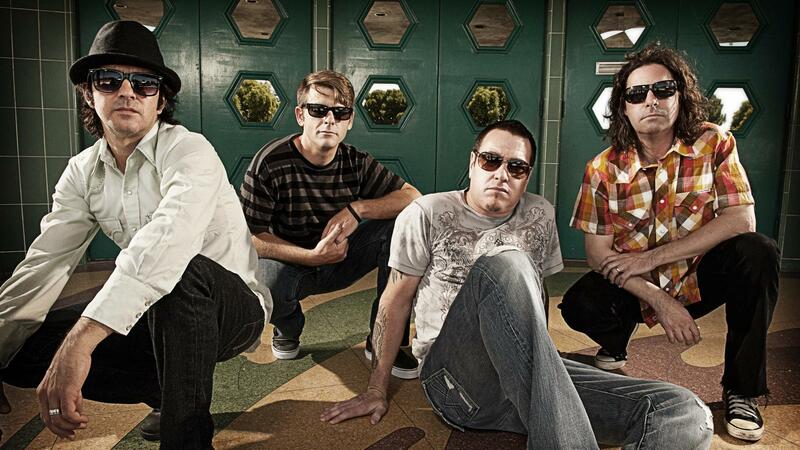 Frontman Steve Harwell, guitarist Greg Camp, bassist Paul De Lisle, keyboardist Michael Klooster and drummer Randy Cooke have devoted the band’s quarter-century run to having their way with the lexicon of rock music with an IDGAF verve. Of course, there’s ‘All Star’, a song that, though pre-Internet, is one of the World Wide Web’s most reliable founts of entertainment. And even that is an understatement. Ahead of the band’s first ever show in Singapore, for the Rugby Sevens, we speak to Paul De Lisle about the band’s legacy and what’s next on its horizon. You're going to be in Singapore for the Rugby Sevens this weekend. Where's your head at going into this show and what are you looking forward to? We did the same event last year in Hong Kong and we had a lot of fun there. It was really neat. It was a very exciting event. I know Singapore is a beautiful place. I've never been so I'm looking forward to going there. Where's the weirdest place you've ever played in? It's always weird when we play at home. But I'm going to say Doha, Qatar. We played there last year. That was an odd place. We do these shows at military bases and there were no trees anywhere, no water. Just flat dirt and rocks as far as you can see. You've been around for almost 25 years! What would you say keeps the band together? We're all friends and we've just kept going. We keep getting opportunities to record and play. People still want to see us and we enjoy it. I didn't think it'd last this long, myself. But before you know it, you're so busy, you turn around and say, "Woah. It's been 20 years”. It doesn't seem that long to us and now we're in our 50s. We've been blessed to be able to do this as long as we have. Does being in a rock band now mean any different to you than when you first started? I don't leap around as much as I used to. (laughs) But it means more to me. I feel really lucky because this is my hobby so I would do it anyways, whether it's paid for or not. It's nice when your hobby turns into your living. I feel very fortunate and blessed. That's why a lot of older musicians can't retire because they'd have nothing much to do. As long as you can sing and your hands still work, no one can dictate when you should stop. Is there any new music in the pipeline? Yes. There always is. We've been a little slow getting it out but we're always working on new music. We need to get off our butts and finish it. We started a bunch of stuff and we just need to wrap it up. How sick are you talking about 'All Star'? (laughs) Not at all! 'All Star' has been very good to us. What do you think of the new life it has found as a meme generator? It can be interpreted in a lot of ways. It can be sarcastic. It can be encouraging. It can be silly. For us, it was a song we wrote and recorded, which came out really good. What's it like hearing that song everywhere even now? At this point in time, does the song still possess any personal meaning for you? It does, for sure. It's also a good song. It's fun to play every night and everyone is excited. I don't mind playing it even after 20 years. It's still not old yet. What’s it like having Greg Camp back in the band? I'm so glad that he's back. He wrote 90% of the songs. He's the songwriter and I'm really glad that he's back. He's more than a bandmate. He's my best friend. On a big picture level, where do you think rock is at now? Hopefully, it's going to make a comeback. There are a lot of alternative bands right now but I wish that there will be a rock mainstream – a young rock band that will break through to the mainstream audience. Maybe they're in a garage somewhere getting ready to rule the world. And what are your thoughts on Greta Van Fleet? I love them. I'm totally on their side. They're on the right track. If you could advice them on how to navigate the hate they get, what would you say to them? Just stay the course. They're doing it right and they're going to keep getting better. What else are you listening to, these days? Lately, I've been listening to Siouxsie And The Banshees. She made a lot of great records. She's had numerous huge hit singles. I've been recording some of my other songs on my own. I still feel like I'm learning and developing as an artist. That's a good thing especially for someone at my age. I have a lot to learn still. The HSBC Singapore Rugby Sevens 2019 will be happening on Saturday and Sunday, 13 and 14 April, at the National Stadium. Tickets, adult at $29 to $199, youth (4-18 years old) at $19 to $199, family packages (two adults and two children) at $22 per ticket, are available here. Early bird discounts will be available till 28 February.